Our experts are ready 24 hours to take on plumbing issues big and small, from dripping faucets and pipe leaks, to sewer & drain cleaning and water heater replacement. We also offer specialty services to tackle complex emergency repairs. Sacramento Rooter is your premier provider of Commercial Drain Cleaning & Plumbing services in the Sacramento Area. Whether it’s routine maintenance, emergency repair, or installation, our highly trained service technicians provide prompt and friendly service. Were here to keep your plumbing running! Quality Local Plumbers at an affordable Price. Call us today, fast and friendly plumbers ready to serve you. We provide professional and extremely reliable Plumbing in Sacramento, California. There is not a plumbing job we will not accomplish for our clients. We are a full service residential and commercial plumbing company. Monsters Plumbing prides ourselves on creating a fantastic environment for our clients, ensuring that each client is completely satisfied with our work. Our plumbing services are second to none in the greater Sacramento area. Our goal as a plumbing company in Sacramento is to ensure complete satisfaction. We hope your confidence in our company grows stronger as we continue to exceed all of your plumbing expectations. Monster Plumbing prides ourselves on providing the best customer service in the Sacramento area. We are willing and waiting to accomplish every plumbing job you have to offer. At Monsters Plumbing we offer quality work at a reasonable price. We are always available for our clients when they need it no matter the time of day. At Monsters Plumbing we have the reputation and the knowledge of all areas of plumbing and will provide excellent service from beginning to end. Monsters Electrical can handle nearly any request for plumbing in Sacramento that you give us and we will handle each request with care. Orangevale, CA Plumbers 365 - Home Page! Are you in need of an urgent plumbing support? We are here to help. Contact (916) 472-0796 instantly in order to chat with a qualified plumber in your city. All you need to do is to phone us and we will send one of our pro technicians at your residence instantly. Orangevale, CA Plumbers 365 - Phone us right now for a free of charge estimate - (916) 472-0796 We believe in quality work as well as client satisfaction. We work around the clock. Phone us at any time. We hand over free estimates, no strings attached, no obligation. Experienced plumbing services at Orangevale, CA. Orangevale, CA Plumbers 365 is a complete plumbing maintenance giver. Our team of technicians can efficiently work out either of your plumbing needs, and we function 24/7. Orangevale, CA Plumbers 365 is the right spot to ask for help whether you require a pipe initiated, line rebuilt, or a leaking spout adjusted. We are a certified, secured, and covered plumbers company. Orangevale, CA Plumbers 365 is accredited and bonded. We use best parts and products for our work. Fast dispatch to our locations of service. Granite Bay, CA Plumbers 365 - Home Page! All you have to do is to contact us and we will send one of our plumbers to your home as quick as possible. 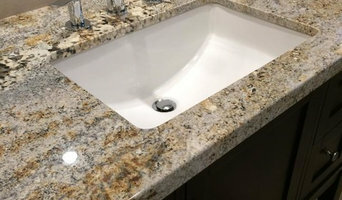 Granite Bay, CA Plumbers 365 - Contact us straightaway for a free of cost quote - (916) 778-3132 Granite Bay, CA Plumbers 365 believe in quality job as well as client contentment. We operate around the clock. Phone us at any time. We hand over free of cost estimates, no strings attached, no obligation. Granite Bay, CA Plumbers 365 is authorized and insured. We use high class parts and products for our work. Fast dispatch to our locations of service. Expert plumbers services at Granite Bay, CA. Granite Bay, CA Plumbers 365 is a quality plumbing work team. We can efficiently deal with all of your plumbing requests, and we operate twenty-four seven all week. Granite Bay, CA Plumbers 365 is the right place to ask for help in case you are in need of a water heater installed, line fixed, or a leaking valve improved. We are a licensed, bonded, as well as covered company. Are you in need of a critical plumbers aid? We are right here to support you. Contact (916) 778-3132 today in order to speak with a plumbing expert near your zone. Snappy Rooter is a full service plumbing company. I have been in the plumbing trade for 20+ years. We do not charge an hourly fee. We have a flat rate for most of our calls. For big jobs we do give free estimates. Folsom, CA Plumbers 365 - Home Page! Are you in need of a crucial plumbers aid? We are here to aid you. Call (916) 741-5147 instantly to chat with a professional plumber near your city. All you have to do is to dial us and we will send one of our experts at your house right away. Folsom, CA Plumbers 365 - Contact us instantly for a free of cost estimate - (916) 741-5147 We believe in top quality operation and client contentment. We receive calls around the clock. Call us at any day or hour. Quality plumbers services in Folsom, CA. Folsom, CA Plumbers 365 is a professional plumbers work provider. Our technicians can effortlessly figure out each of your plumbing demands, and we operate 24 hours a day, 7 days a week. Folsom, CA Plumbers 365 is the top place to call in case you are in need of a pipe initiated, line back together, or a leaking valve adjusted. We are a licensed, bonded, as well as covered plumbing company. We deliver costless estimates, no strings attached, no obligation. Folsom, CA Plumbers 365 is certified and insured. We use top parts and products for our work. Rapid dispatch to our locations of service. Rancho Cordova, CA Plumbers 365 - Home Page! Our team of technicians can effortlessly fix all of your plumbing wishes, and we work 24 hours a day, 7 days a week. Rancho Cordova, CA Plumbers 365 is the optimal team to contact in case you need a water meter equipped, line refitted, or a leaking spout improved. We are a authorized, bonded, as well as insured plumbing company. Do you need a vital plumbing assistance? Our team is right here to assist you. Phone (916) 560-1917 immediately to communicate with a plumbing pro at your area. All you have to do is to dial us and we will dispatch one of our qualified plumbers to your home promptly. Licensed plumbing services at Rancho Cordova, CA. Rancho Cordova, CA Plumbers 365 is a complete plumbing assistance giver. Rancho Cordova, CA Plumbers 365 - Dial us immediately for a free of charge estimate - (916) 560-1917 Our Team believe in high quality operation as well as consumer contentment. We are open twenty-four seven. Call us at any time. We deliver gratis quotes, no strings attached, no obligation. Rancho Cordova, CA Plumbers 365 is certified and insured. We use top notch parts and products for our work. Quick dispatch to our locations of service. Cameron Park, CA Plumbers 365 - Home Page! Cameron Park, CA Plumbers 365 is a quality plumbing service company. Our experts can easily fix either of your plumbing requests, and we work all day everyday. Cameron Park, CA Plumbers 365 is the top team to ask for assistance whether you desire a water heater put up, line rebuilt, or a leaking spout replaced. We are a accredited, warranted, as well as covered company. Are you in need of an emergency plumbing aid? We are waiting to help. Call (530) 924-5553 instantly in order to communicate with a plumber near your neighborhood. All you have to do is to give us a call and we will send one of our qualified plumbers at your home as rapid as possible. Cameron Park, CA Plumbers 365 - Dial us instantly for a free estimate - (530) 924-5553 We believe in high quality operation as well as client satisfaction. We taking calls twenty-four seven. Dial us at any given time. Licensed plumbing services in Cameron Park, CA. We give free plumbing estimates, no strings attached, no obligation. Cameron Park, CA Plumbers 365 is certified and insured. We use high parts and products for our work. Instant dispatch to our locations of service. Plumber In Rosemont 24/7 - Welcome! Licensed plumbers services at Rosemont, CA. Plumber In Rosemont 24/7 is a full plumbing service provider. Our experts can efficiently fix any of your plumbing demands, and we work around the clock. Plumber In Rosemont 24/7 is the optimal spot to call in case you need a pipe put up, line sorted, or a leaking spout repaired. We are a certified, warranted, as well as covered plumbers company. Do you need an immediate plumbers aid? Our team is here to help. Phone (916) 347-5305 instantly in order to chat with a plumber at your city. All you have to do is to phone us and we will send one of our qualified plumbers at your apartment rapidly. Plumber In Rosemont 24/7 - Phone us right now for a free of charge quote - (916) 347-5305 Our Team believe in good quality performance as well as consumer satisfaction. We receive calls 24/7. Contact us at any time. We hand over free of charge prices, no strings attached, no obligation. Plumber In Rosemont 24/7 is permitted and bonded. We use high parts and products for our work. Quick dispatch to our locations of service. North Auburn, CA Plumbers 365 - Home Page! North Auburn, CA Plumbers 365 is a complete plumbing work team. Our professionals can easily figure out either of your plumbing needs, and we function all day everyday. North Auburn, CA Plumbers 365 is the top team to ask for help if you require a pipe put up, line rebuilt, or a leaking stopcock adjusted. We are a authorized, secured, as well as insured plumbing company. Are you in need of a vital plumbing support? We are here to assist you. Phone (530) 338-0230 directly to speak with a plumbing expert at your area. All you got to do is to phone us and we will dispatch one of our plumbers at your place rapidly. North Auburn, CA Plumbers 365 - Call us right now for a costless estimate - (530) 338-0230 North Auburn, CA Plumbers 365 believe in top quality work as well as customer satisfaction. We receive calls 24/7. Contact us at any day or hour. Licensed plumbers services in North Auburn, CA. We provide free plumbing quotes, no strings attached, no obligation. North Auburn, CA Plumbers 365 is certified and bonded. We use high parts and products for our work. Rapid dispatch to our locations of service. Plumber In Sacramento 24/7 - Welcome! Experienced plumbing services at Sacramento, CA. Plumber In Sacramento 24/7 is a full plumbers assistance company. Our technicians can efficiently fix either of your plumbing requests, and we work 24/7. Plumber In Sacramento 24/7 is the optimal spot to connect with if you need a water heater established, line refitted, or a leaking faucet reconstructed. We are a authorized, bonded, as well as covered plumbers company. Do you need a crucial plumbing aid? Plumber In Sacramento 24/7 is here to give you assistance. Call (916) 248-5622 straightaway in order to speak with a professional plumber at your city. All you got to do is to give us a call and we will send one of our pro technicians at your home right away. Plumber In Sacramento 24/7 - Phone us instantly for a free quote - (916) 248-5622 Plumber In Sacramento 24/7 believe in quality performance as well as consumer satisfaction. We work around the clock. Dial us at any time. We deliver costless estimates, no strings attached, no obligation. Plumber In Sacramento 24/7 is permitted and insured. We use high parts and products for our work. Immediate dispatch to our locations of service. Plumber In West Sacramento 24/7 - Welcome! 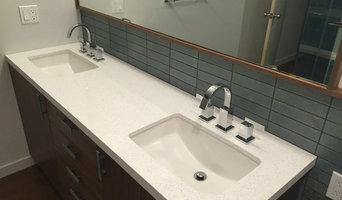 Quality plumbers services in West Sacramento, CA. Plumber In West Sacramento 24/7 is a licensed plumbers service team. Our team can easily figure out any of your plumbing needs, and we work around the clock. Plumber In West Sacramento 24/7 is the finest spot to ask for assistance if you require a grease trap initiated, line fixed, or a leaking faucet adjusted. We are a permitted, bonded, as well as insured plumbers company. Do you need a crucial plumbers help? Our professionals are here to aid you. Telephone (916) 458-5675 directly to chat with a plumbing expert in your zone. All you have to do is to call us and we will send one of our qualified plumbers at your location instantly. Plumber In West Sacramento 24/7 - Phone us instantly for a costless estimate - (916) 458-5675 Plumber In West Sacramento 24/7 believe in good quality operation as well as client contentment. We work 24/7. Phone us at any day or hour. We hand over costless prices, no strings attached, no obligation. 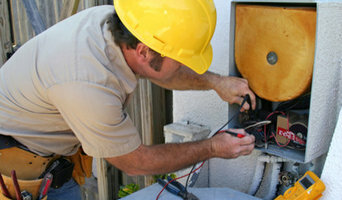 Plumber In West Sacramento 24/7 is licensed and insured. We use high parts and products for our work. Fast dispatch to our locations of service.